The Christian faith has had a very troubled relationship with Halloween. 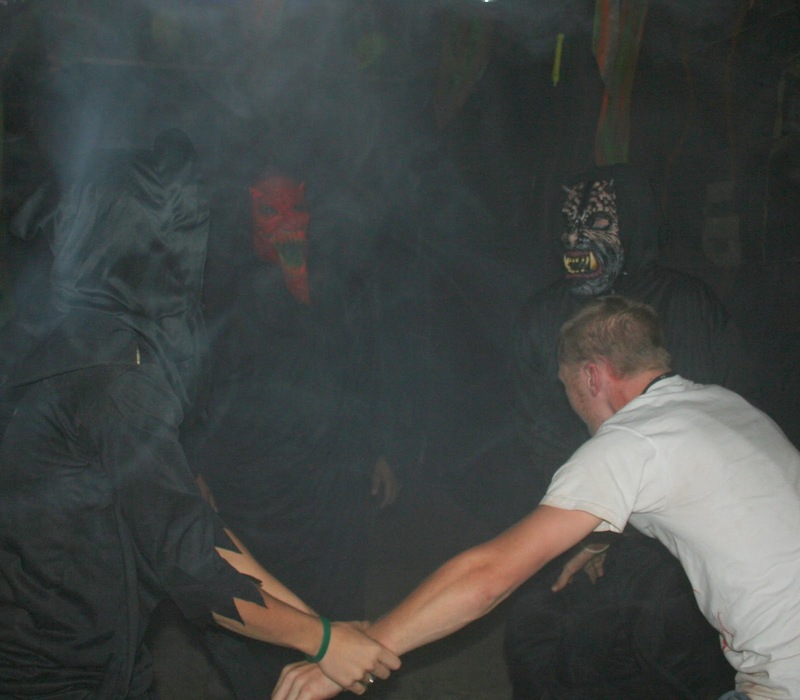 I'd say its safe to say the majority of Christians celebrate Halloween and consider it all in good fun, but the connection between the occult and satanism leaves some Christians a little leery of celebrating it. Some Christian groups have chosen a unique way to celebrate this holiday, by incorporating aspects of their faith into the celebration. A popular expression of this is the so called "Hell House". 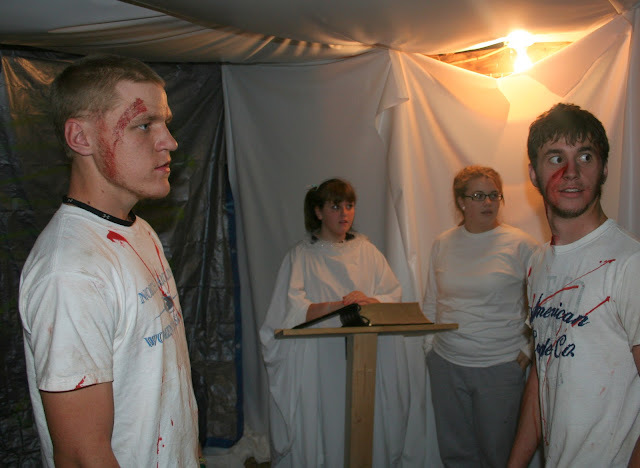 This is a haunted house put on by a Christian group that often deals with Christian ideals and themes. Some of these displays can be very controversial and deal with topics such as abortion or homosexuality. I had long wanted to attend one of these Houses to have the experience. 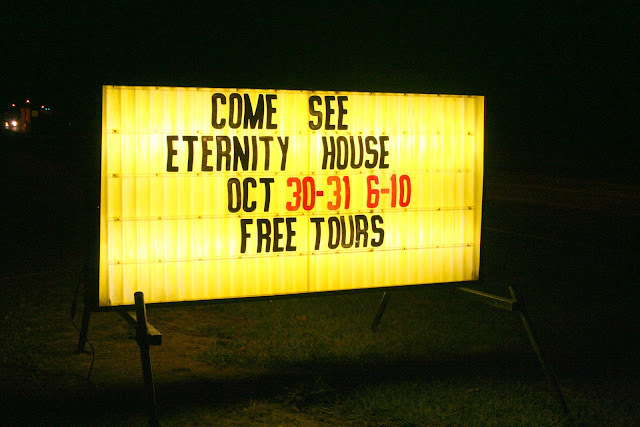 The year was 2009, and I had my chance to attend the local "Eternity House". First off, Eternity House was packed. I waited in a line that rivaled Space Mountain. The opening scene was gruesome, depicting a car accident, with some very dedicated actors laying motionless in the cold October night. 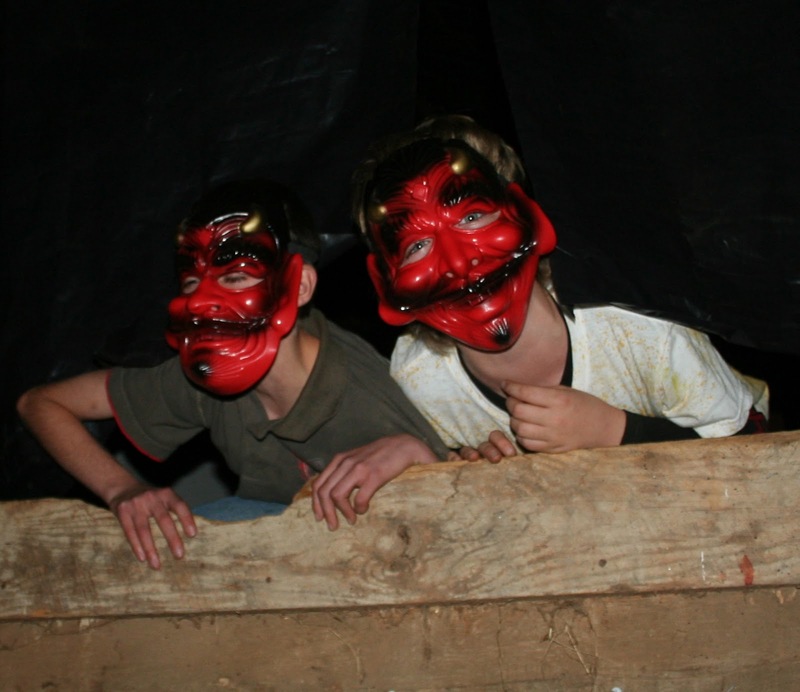 As we head into the old barn converted into Eternity House, we get a small sampling of traditional haunted house antics as two kids in Satan masks shriek at us from an above loft. We are then ushered into "Heaven". 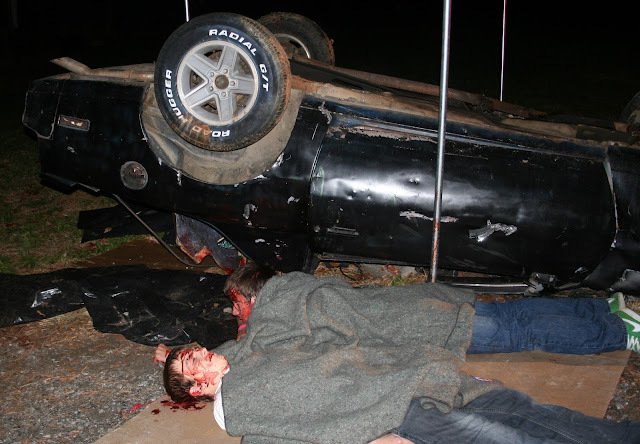 The two friends who were killed in the car accident stand at the gate to see if their names are in the book. 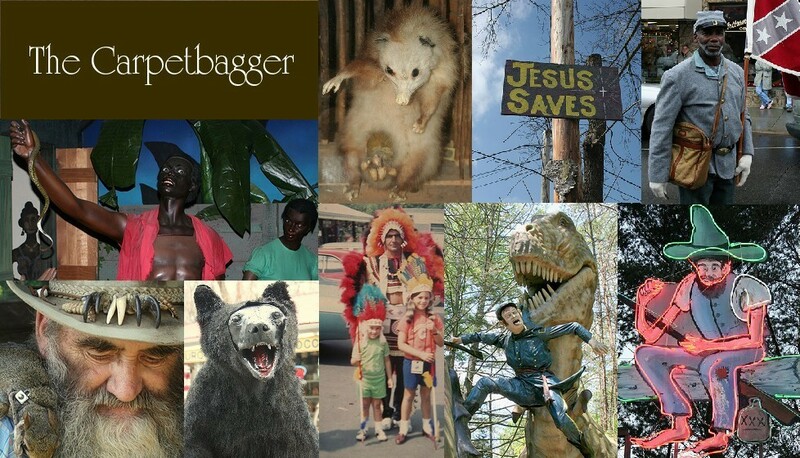 The louder more obnoxious of the friends is sure he is going to heaven as he brags in a loud redneck accent. His quieter friend is on the list, but unfouratetly the loud friend finds himself dragged off screaming. 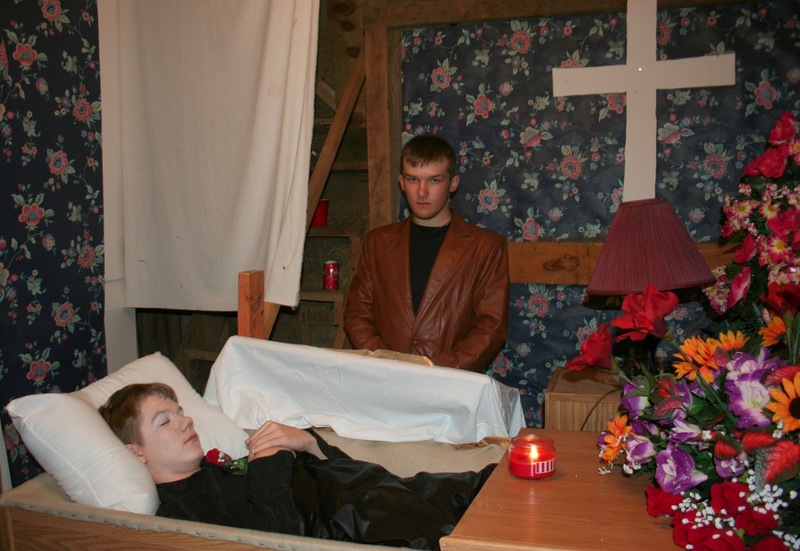 Next we enter the Funeral Room. In a small room we are treated to an eerie funeral scene as we sit in the audience. If the goal is making the participants feel uncomfortable I think nails it. Finally, we get to the grand finale. 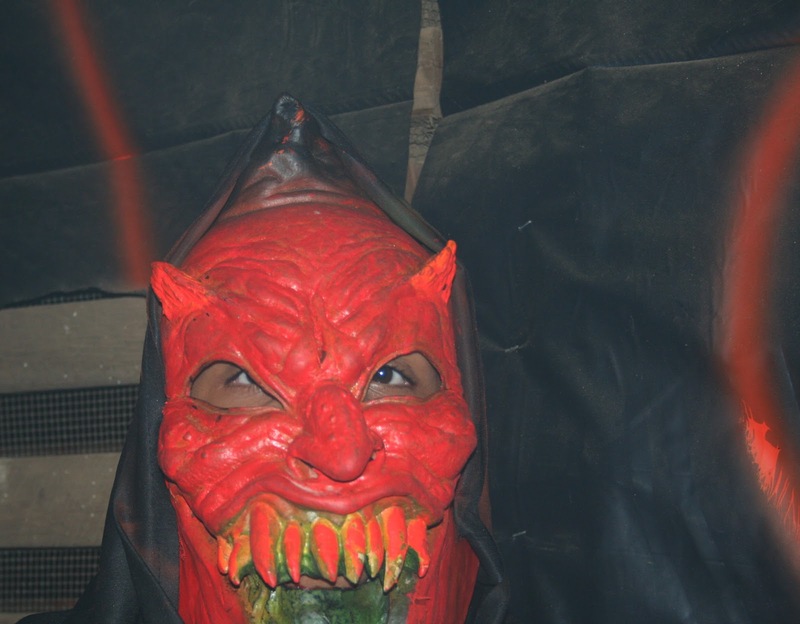 Satan himself makes an appearance, in the smoke machine filled seizure inducing Hell. Our loud obnoxious dead teenager is told that because he did not give his life to Jesus he will now spend an eternity in Hell. He is dragged off pleading for his soul. After leaving we are greated by a preacher with a Bible who explains the importance of giving your life to Jesus as you certainly don't want to end up in a smoke machine seizure inducing Hell. I must say, in the world of fire and brimstone, this is a fairly effective medium.